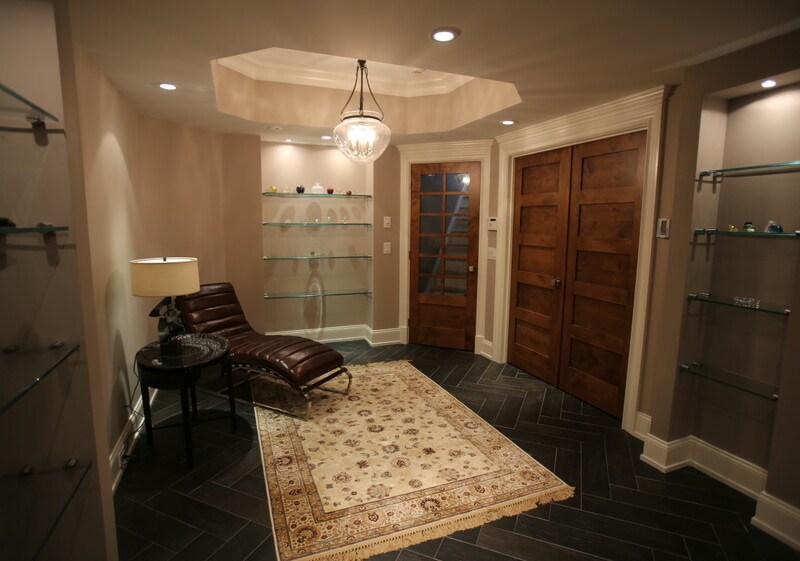 Who says a basements has to be dank, dark or even a man cave? 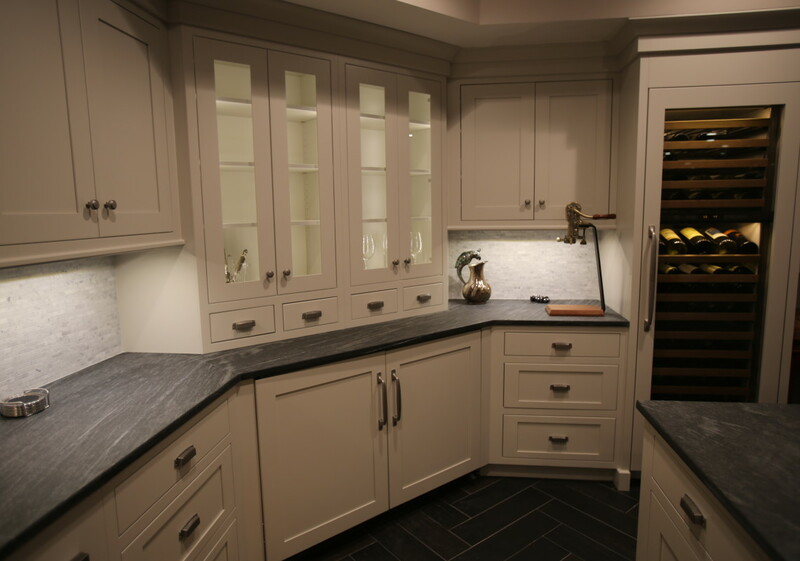 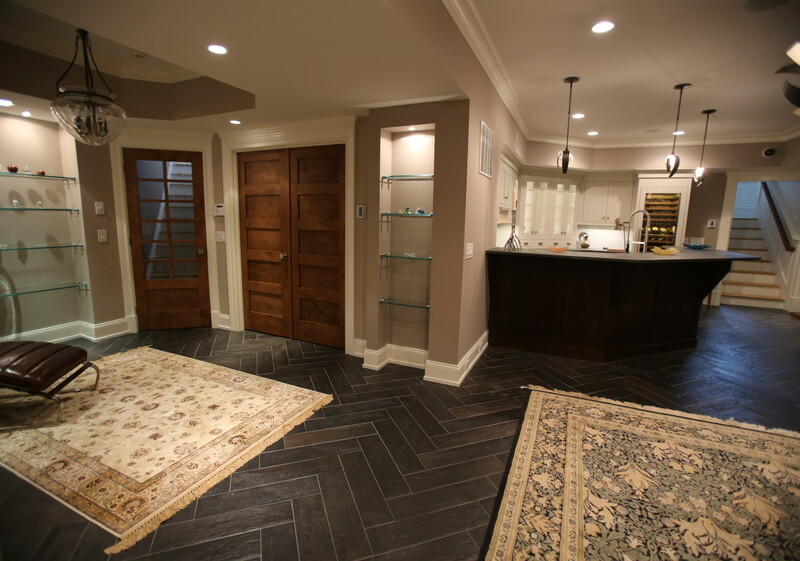 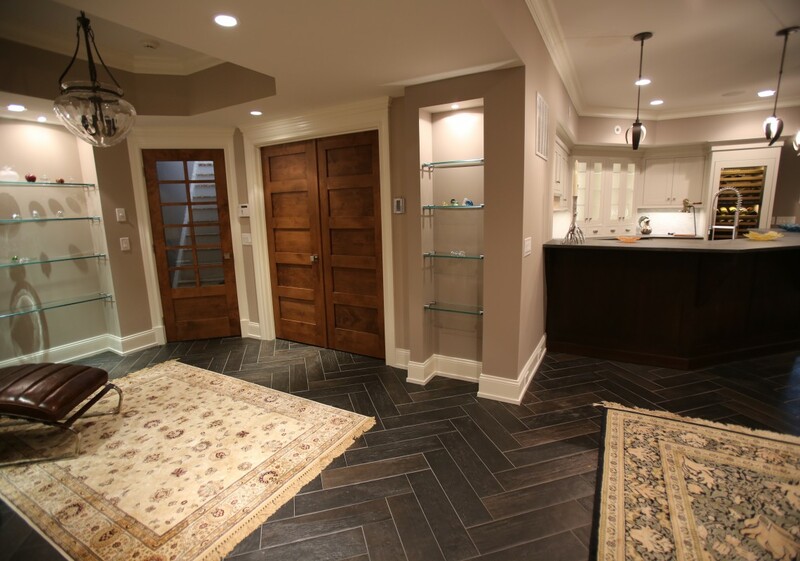 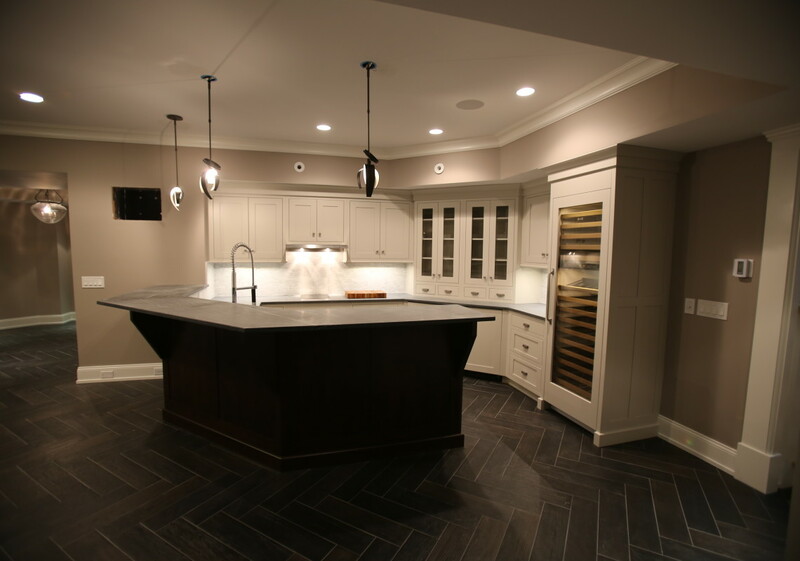 Looking for a place to escape after a long day, these homeowners enlisted the help of MFM Design & Construction to turn their unfinished basement into something special. 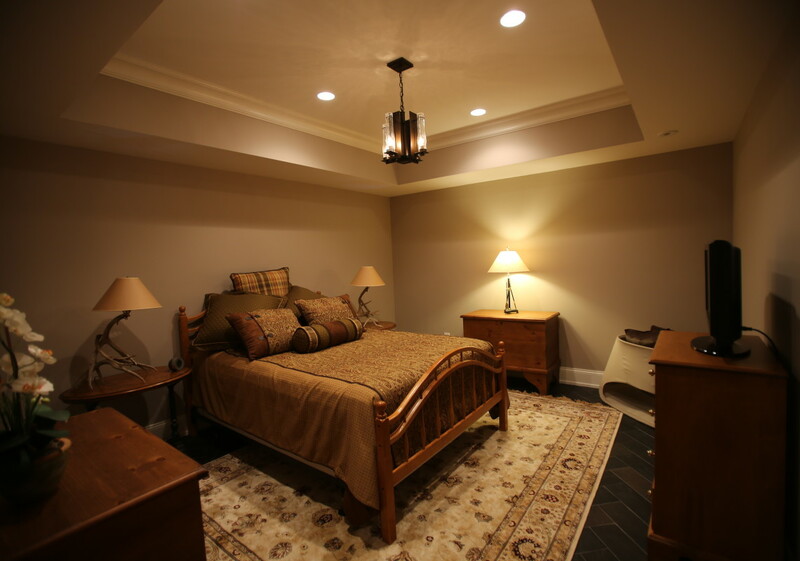 Electric radiant heat by Warmly Yours took the chill out of the air. 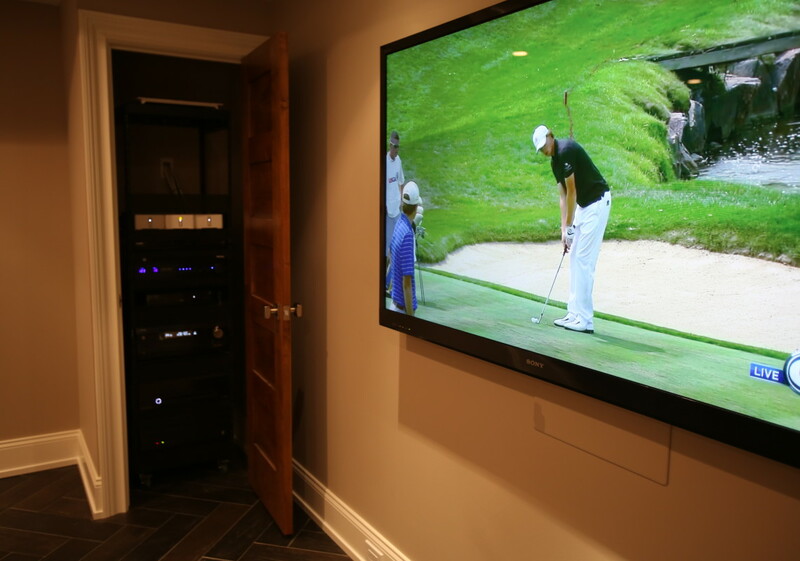 And a Unico high volume HVAC system keeps the air fresh. 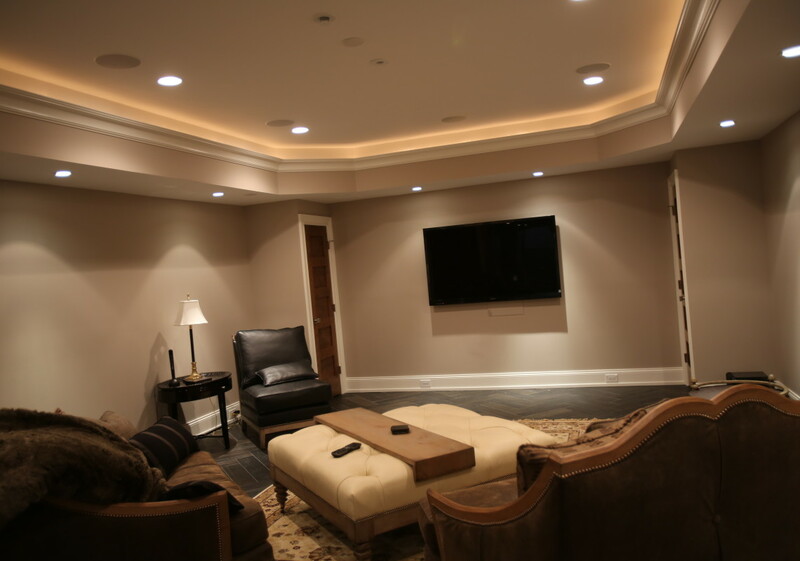 To brighten things up, we installed a combination of low voltage and LED wall washer lights and spot lights. 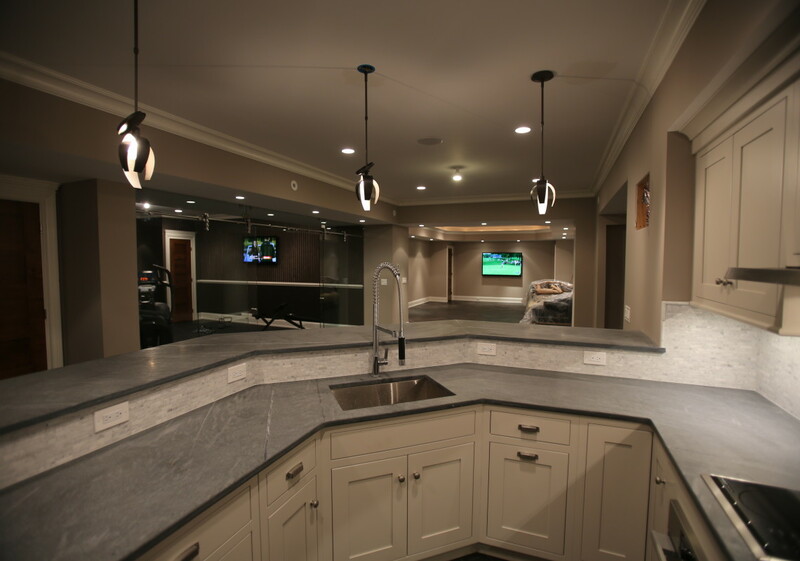 The backsplash in the prep kitchen and ceiling in the TV area was also brightened with LED access lighting. 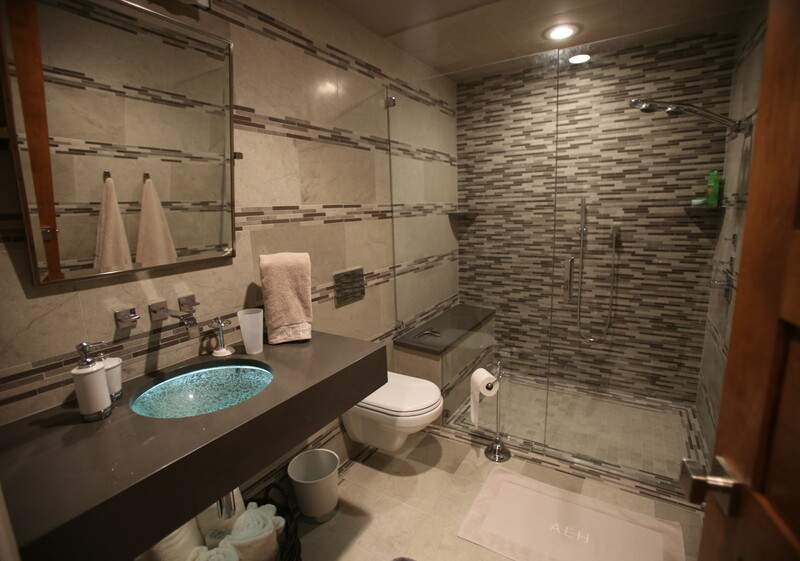 Even the sink in the ADA compliant bathroom is illuminated to provide a cozy night light. 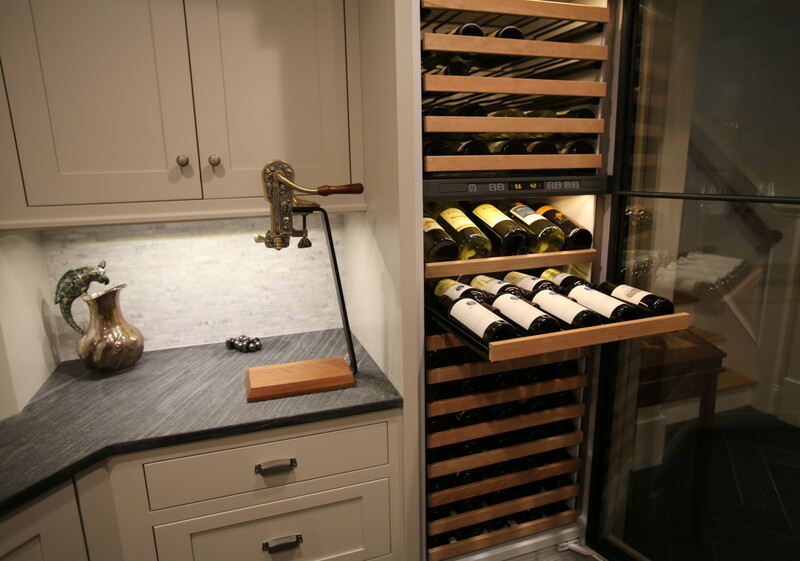 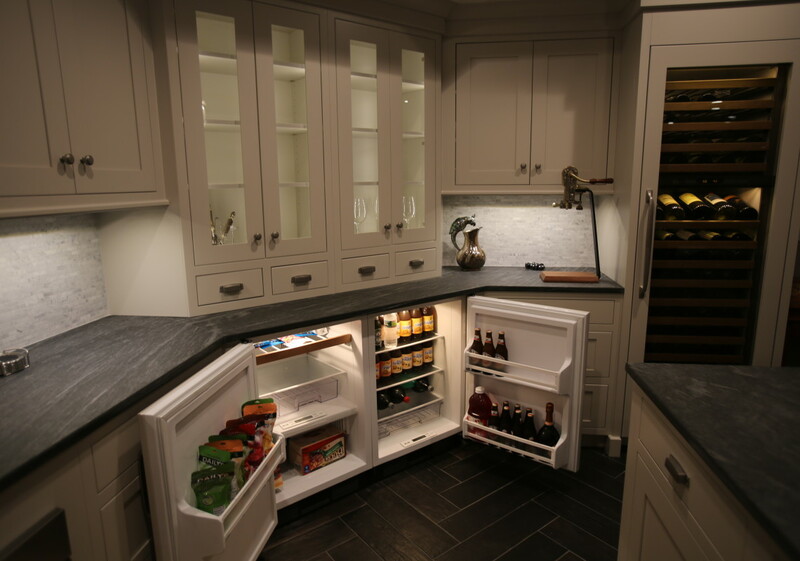 When its time to share a bite or a glass of Merlot with friends the a full kitchen with two beverage fridges and a dedicated wine cooler has it covered. 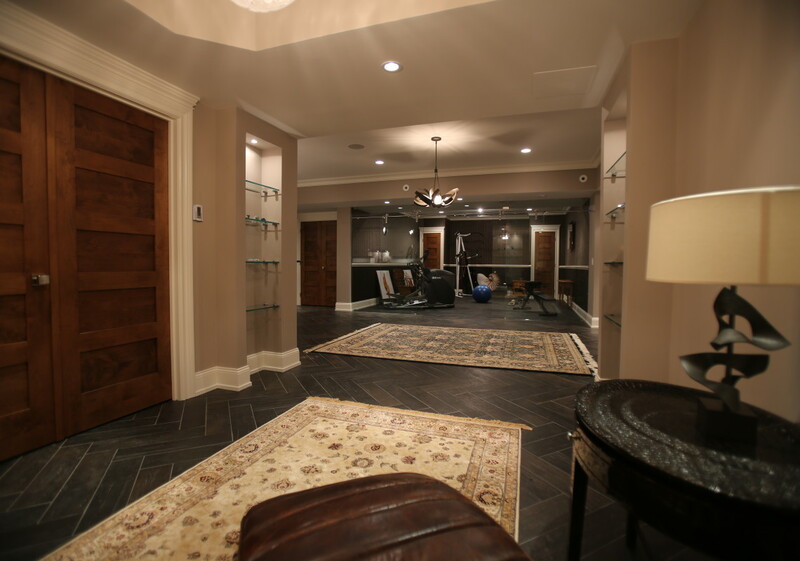 To complete the list for this busy professional the dedicated work out area is equipped with an integrated sound system, rubberized gym floor and sliding glass partition walls.